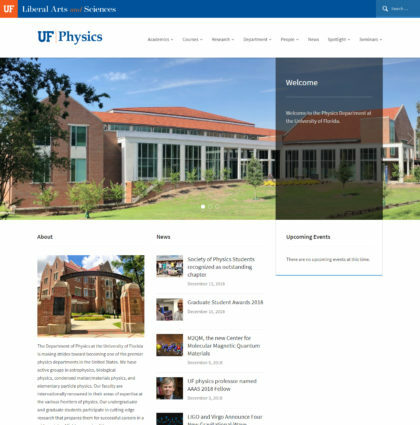 Created an updated look and reorganized content for the Academic Technology web site to better present department services and incorporate aspects of the redesigned University of Florida web identity. Designed an interface for IFAS DDIS site and create a standards-compliant, accessible template. 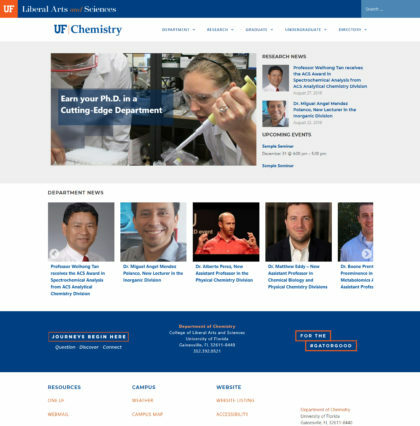 I created the template so that it could convert from two columns to three columns just by using a different style. Designed the interface and functionality of a flash simulation allowing students to design and interact with a greenhouse and see the effects on a plant inside.